(COLORADO SPRINGS) – Emagispace®, a building block technology company with a physical product that revolutionizes the construction of interior spaces in which people live, work and play, recently teamed up with Creative Graphics Services (CGS) to provide 563 linear feet of wall, nearly 2 football fields, in 1.5 days for events leading up to this past weekend’s Big Game. 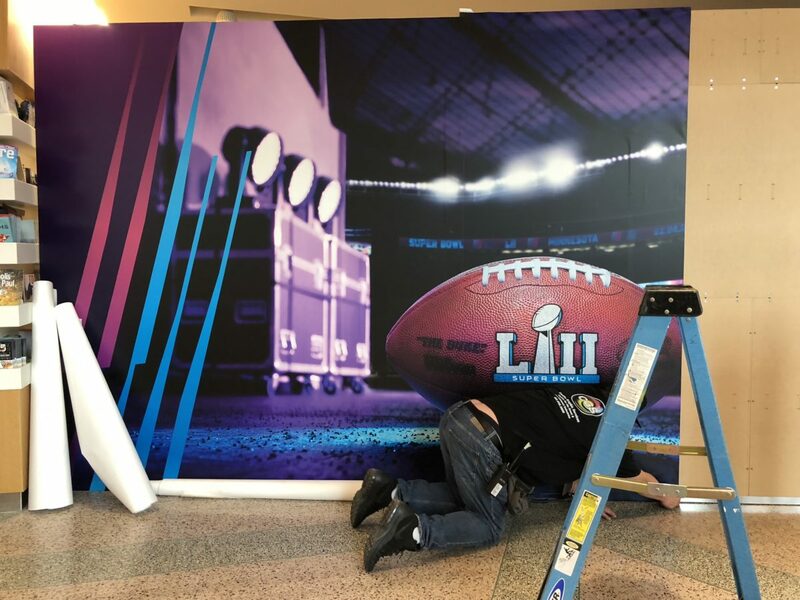 Emagispace’s interlocking building blocks, called EmagiBlocks®, were installed in the Minneapolis Convention Center as part of the Big Game’s interactive experience, just blocks from U.S. Bank Stadium where the Eagles took home this year’s championship trophy. The barrier walls featured the game’s logo adhered by CGS that were seen by more than 70,000 in attendance. For the game, Emagiblocks were prebuilt in order to meet installation time and labor constraints. While sporting event, tradeshow and concert venues often face challenges of creating well-designed “eye popping” spaces that attract attention, are cost-effective, and are simple to ship and assemble, Emagispace offers a solution that allows its products to adapt to customer needs and can be reconfigured and repurposed for years to come.